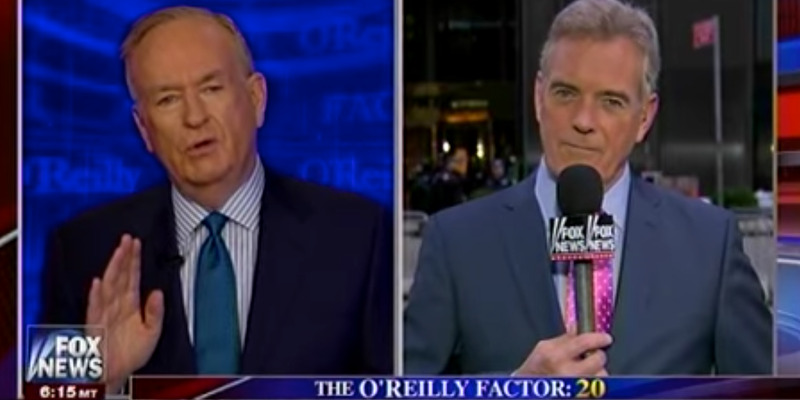 Fox News chief White House correspondent John Roberts is trying to play it straight on President Donald Trump’s favourite network. And while he thinks the president sometimes goes too far in his criticism of the press, he says tension between the media and the White House is par for the course. The veteran journalist, who spent five years at CNN and 14 at CBS News, says he faces all the same challenges in the Trump era – the constant deluge of news, a president largely unwilling to talk to the press – as his colleagues in the so-called “fake news” media. And while the president counts many of Roberts’ opinion host colleagues among his closest confidants and most effective surrogates, Roberts tunes that out, instead focusing on the accountability reporting he’s built his reputation on. Below is Roberts’ interview with Business Insider, edited for length and clarity. Eliza Relman: You’ve been in this business for a while. How is reporting on this administration different from covering past administrations? John Roberts: In the Clinton and Bush administrations I was working for the CBS Evening News, so I really had one report to do in the course of a day and my entire day would be spent working up information, digging up interesting news tidbits in preparation to do a one-and-a-half to two-minute report at the end of the day. Now, I tend to be on eight or ten times a day. Yesterday, when I was on with Shep Smith, I was the entire A-block, so I was on for almost 15 minutes with him. The real difference here is that there is so much news coming out of this White House on a daily basis that you will have five big stories in the course of a day whereas you used to only have one, maybe two. Things were pretty hectic in the Bush administration after the 9/11 attack and the War in Afghanistan, the War in Iraq. But, still, the story load these days with President Trump here at the White House is just so far and above anything I’ve ever experienced before. At the end of every day I go home mentally exhausted just from trying to wrap my head around everything that comes out of here. Relman: How does the relationship between the White House communications shop and the press differ under this administration? Roberts: I actually have sympathy for the communications shop here because they have been run ragged for the last 15 months by a president who freelances things and calls audibles. I mean, you’ll see an NFL quarterback every once in a while call an audible. This president does it multiple times during the day and then the comms shop is left to pick up the pieces. I remember in the days before Sean Spicer left, the president made a snap decision about getting rid of somebody and the comms shop really only had about 20 minutes time to try to get the information together to respond to all of that. So they really have a very, very difficult job. In past White Houses there’s been a lot of very detailed communication and coordination between the policy shop, the oval office, and the communications shop. Now it’s just kind of like you’re blasting at clay targets and they have to pick up the pieces and get the information out there, so they do have a very difficult job. My relationship with this comms shop is probably as good, if not better, than the comms shops I’ve had to deal with before. I had a very good relationship with [former White House press secretary] Ari Fleischer in the early days of the Bush administration, [White House press secretary] Scott McClellan as well later on and, of course, [former Bush press secretary and current Fox News host] Dana Perino and I are still friends to this day. And I had a very good relationship with [White House press secretaries] Jake Siewert and Joe Lockhart during the Clinton administration. In some ways, they were a little bit more open with information than this comms shop is, but I still have a very good relationship with the comms people here. Relman: You’ve said before that Trump has at times gone too far in his criticism of the media. Do you agree with your Fox colleague, Chris Wallace, when he says the president is engaged in a “direct, sustained assault on a free press”? Roberts: I don’t want to say a “sustained assault on a free press” because that would indicate that [Trump] doesn’t believe in a free press. I firmly believe that the president believes in a free press. I think the president feels like he is under siege by dozens if not hundreds of news organisations, the coverage from which the president probably does not take a great amount of comfort. And he’s fighting back and this is the way that he fights back – is to question the credibility of the organisations that he feels are attacking him. Clearly a negative story is not an attack because I’ve done negative stories about this president and I certainly don’t feel like I’m attacking him, I’m just pointing out that things either haven’t gone as well as they should or this runs counter to what accepted thinking is on something or sometimes runs counter to what should happen. But I don’t see that as being an attack. I think we can separate this into two categories. For the president to push back against the press, I think that’s just a natural ebb and flow of the combative nature that there has always between the press, which is trying to speak truth to power and look into the underbelly of an administration and find out what’s really going on, and a White House and a president that doesn’t like the fact that they’re doing that. I think the president is fully within his bounds to complain about that and other presidents have done so in the past. Where I think the president takes it too far is in these big events, in these huge arenas that have 15-20,000 people and all of these people are wound up and very enthusiastic and then the president unleashes on the press, basically pointing to all of the media outlets on the riser and saying these people are the enemy. That really gets the crowd riled up and it nearly got ugly at the US Bank Arena in Cincinnati one day and I was concerned that there might be some violence done against members of the media. I think that’s taking it too far, but I think the president is well within his purview to complain about the press if he doesn’t like the coverage. This is a guy who, his entire life, has never sat back and took it, he’s always fought back and this is just an extension of that. 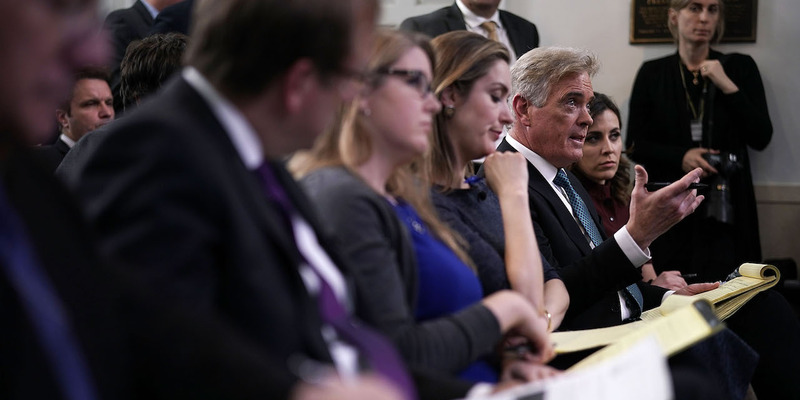 Alex Wong/Getty ImagesJohn Roberts asks a question at the White House press briefing on February 27, 2018. Relman: Do you think it’s problematic that the president describes large swaths of the media as “fake news”? Roberts: There is bona fide fake news and we saw a lot of that during the 2016 campaign. A lot of it was on social media, some of it appeared to come from Russian sources, trying to disseminate false narratives to influence people’s thinking about the election. I don’t want to say that my colleagues engaged in fake news, but there have been some pretty substantial mistakes that have been made – not many lately, but there was a period there where there were a lot of very big mistakes that were being made, one of which temporarily affected the stock market. And it seemed to be kind of a rush to get out the most negative thing about the president you could as quickly as possible without fully checking the facts. And I think that the media learned from that, particularly given the consequences against one person who made a rather substantial error, that you need to take a breath, you need to step back, and you need to check the facts before you go out and report something. Now, news organisations are always going to make mistakes. Is a mistake fake news? I don’t think so. I think it’s an honest mistake. But if somebody is trying to push an agenda and they’re willing to go out there with a very thinly sourced story or they’re repeating something that somebody who has an agenda is telling them, then I think you begin to cross into that territory. But I think what I’ve seen from my colleagues since that flurry of big mistakes has been reporting that has been very solid. Relman: How does it affect your job that Fox News opinion hosts, including Sean Hannity and the “Fox & Friends” hosts, talk with the president so regularly? Roberts: My colleagues, particularly the ones who are on the opinion or editorial side of Fox, and I – we have separate lives. I’m friends with Sean Hannity, we talk all the time, but what he does is different than what I do. He comes and has dinner with the president, I don’t go have dinner with the president – though I did have lunch the other day with the vice president because he was just doing some off the record outreach to me. Clearly, we’ll get together with an administration official and sit there and talk to them about the issues. What my colleagues on the opinion side of things do does not affect what I do at all because I’m a journalist, I’ve worked for a number of different news organisations, I think I have the respect of a lot of my colleagues for holding to the straight and narrow. Anytime I throw a question to the president it’s usually – I would say 99.9% of the time – a serious, substantive question about a pertinent issue. And I certainly don’t pull any punches with him. So I just come in everyday and I do what I do based on my long experience of doing this. Relman: Is it ever frustrating that the president gives interviews to opinion hosts instead of to news reporters like you? Roberts: I don’t want to make a comparison, but I will say that I am a little bit frustrated that the last time I interviewed the president was in Lacrosse, Wisconsin, in August of 2016. I cover him everyday – he does call on me a lot at press conferences. He calls on me because he knows I’m going to ask a serious, substantive question, but I am frustrated that I’ve been asking for an interview with the president since the day he was elected and they have not complied. But, you know what, it’s part of the job and I’ll keep asking and we’ll see if they eventually comply. And I tell them – by this time in the Bush administration, I’d done four sit-down interviews with him. And in the Clinton administration I’d done a number of sit-down interviews with him as well. This president doesn’t do a lot of that and it’s interesting too when you look at it. Even though I work at Fox News, I am, to the president, in the same category as everybody else. He doesn’t sit down with Jonathan Karl from ABC, he doesn’t sit down with Jim Acosta from CNN or Hallie Jackson from NBC. He also doesn’t sit down with me, so I’m not getting anything that nobody else is getting. 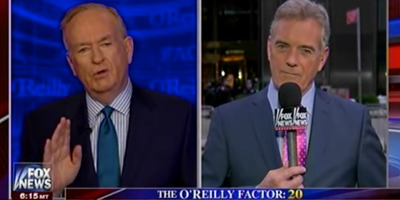 Screenshot/Fox NewsFormer Fox host Bill O’Reilly and John Roberts during ‘The O’Reilly Factor’ in January 2017. Relman: If there is a “mainstream media,” is Fox part of it? Roberts: First of all, I don’t think there is such a thing as a “mainstream media” – I think there’s just media and there are various shades of the media in terms of where their ideological leanings lie. There’s a lot of the media that’s way left of center, there’s some of the media that’s way right of center, there’s media that’s straight down the middle, there’s media that’s leaning a little to the left, there’s media that’s leaning a little bit to the right. And I think that people are intelligent enough that they can see the different shades in the media. Fox has been in existence now for more than 20 years, so does that make us part of the traditional media? Perhaps it does. Relman: What to say to those who say criticise Fox for having a close relationship with the administration? Roberts: I can’t speak to anything that I’m not involved in, and I’m not involved in “Fox & Friends,” I’m not involved with Laura [Ingraham]’s show or Sean [Hannity]’s show. I’m just involved with what I’m doing and I get talking points from the left and right every day. You should see my email and I’m sure as a journalist you get a lot of emails as well. And I will take what people say in these talking points, whether it be from the DNC or whether it be from the RNC and say, ok, that’s what either side is saying about it, now what’s the truth and where are the facts? Again, and I don’t mean to stonewall you here, I can only speak to what I do, and that’s what I do. Nobody’s delivering me talking points, nor am I parroting anyone’s talking points. But I will check with a lot of people about their knowledge of a subject, what their opinion of it is, where they think things are headed, and that all informs my reporting, as I’m sure it does for you. Relman: Do you worry that too much of what’s coming out of the media is opinion as opposed to fact-based reporting? Roberts: There’s a lot of talking heads on a lot of networks. And they have debates and the left and the right gives their opinion. I prefer, as a news person, to have a news report, as opposed to two people who are battling each other with their own talking points. I understand that the shows do this, they have got a lot of time to fill, it’s interesting programming for the people at home. But – and I don’t want to be cliché – as long as the debate is fair and balanced, there’s nothing wrong with that.